After going with a naked screen for about a month now I decided I was pressing my luck and I’d try...again. Got on online and read reviews until I was worn out and finally decided to try the Tethys full coverage glass protector. The reviews were pretty good, but they’d been good on the other s I’d tried too. I really can’t make myself like the ones that just cover the viewing area of the screen because that gap drives me nuts. But... with a bigger protector you have to be concerned about the case. I had one on my 6S Plus that I could only use a Caudabe or Peel type case with, so that was a concern. So, found the Tethys on Amazon and according to description and reviews it covered almost all of the screen but left enough room for the edges of most cases. Okay, clicked order.... trying this one I thought. Got the Tethys yesterday and installed it this morning. Installation was very nice and easy with the provided guide frame that snaps on the phone. An alcohol wipe and dry wipe were also provided, along with guide stickers (don’t need them with the guide frame, but they’re there if you want them) and dust removal sticker. I cleaned my screen carefully, snapped on the guide, and wiped the screen carefully again. I then stuck the guide stickers on and carefully peeled the backing from the protector. I’ll mention here that the backing on this protector is quite thick and stiff, almost like light cardboard, so that was different. I always keep the protector adhesive side down while peeling the backing so that dust doesn’t fall on the adhesive. Then I carefully held the protector by the edges (the stickers were just in the way - don’t need them) and gently dropped it into the frame on my phone. It did require that I then press gently on the edges to kind of snap the protector down so that it fully contacted the surface of my phone screen. After that I removed the frame and continued to smooth the protector in place and spread the adhesive. Voila!! It was in place beautifully with not a bubble in sight! And looks great! I forgot to mention that the edges of the protector are black and the black edges hit right where the black bezels on the phone’s screen are. So the effect is seamless. Next, my worry was - will my cases fit and not raise the protector? Happily, they do! So far I’ve tried my Silk Nudist and my new Incipio Cranberry Sparkler (their designer series) that I got to use during Christmas. (Since it’s sparkly and festive, Lol!) Now I don’t know how it will do with very heavy duty type cases, but it’s going to be fine with the cases I have. So, my conclusion is I found it! 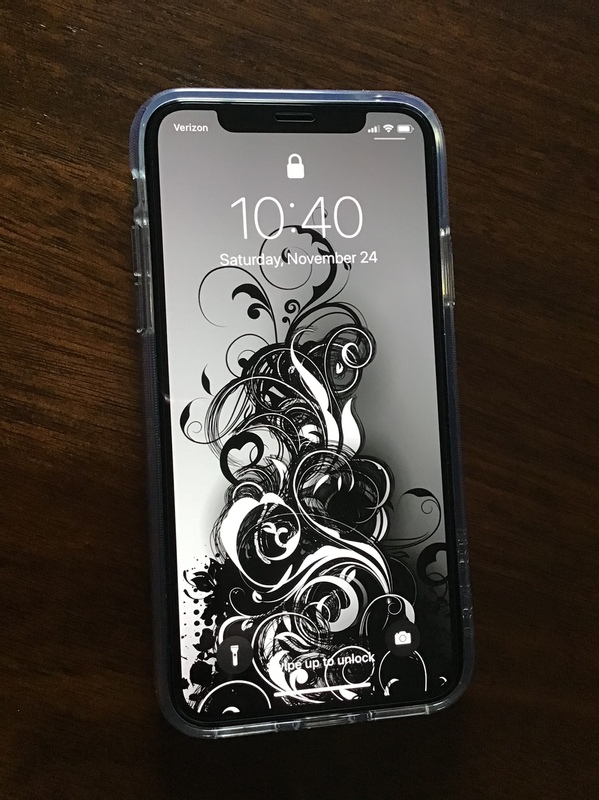 A screen protector I can be happy with and not get the itch to peel off! Yay! Touch sensitivity is good and clarity is excellent, all functions on board and working properly. Don’t know how it will hold up yet of course, but there are 3 protectors in the box so when this one gets scratched or whatever, there’s 2 more. And all for $7.99 on Amazon! Hope this helps someone who is struggling with finding a screen protector they can live with. I use the same brand on my max and really like them. Westiemom and bgl321 like this. I wish I had found this one sooner! Don’t know how I missed it on Amazon. Have used the same brand since I got the XS, I did have a few bubbles but they were gone by the next morning. Great review, I haven’t put one one on my XS yet, but based on your review, the Tethys will be tops on list. May have to check this out when mine starts to act up on my Xr. I'll try them out with a defender case and see how they do. Mine is fine for now but I got it a little off centered. Doesnt really bother me... Yet lol. Can't find version for max. Yes it is edge to edge but stops about in the middle of the black bezel, leaving room for the edges of a case. I never really cared for screen protectors myself, but forced myself to use one anyway and get over the way they tend to look on the device. I decided with how much these devices cost and with how fragile they can be, I should protect it in every way I can. I have the best device insurance that Verizon offers, but still. Considering that I am on the road a lot for my job and can be 200+ miles away from base at any moment, keeping it working its kinda imperative. 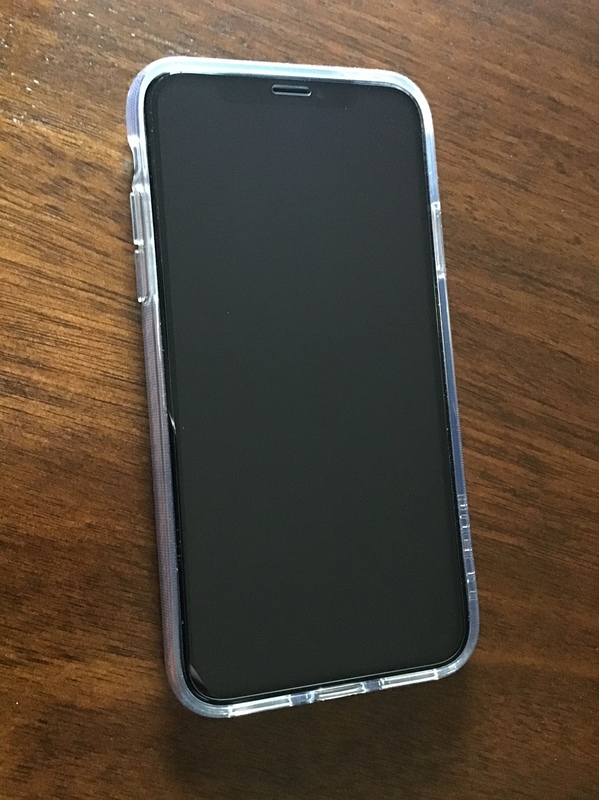 I use a Spigen protector on my phone that just covers the viewable area. Very nice protector. Very responsive, smooth, and clear. Cant really complain. Anyone else have problems with air bubbles? Screen was spotless before install and there are some bubbles that just won’t go away. Any advice? Is it the Tethys protector you’re using? Normally air bubbles are caused by tiny dust particles between the screen and the protector. Usually requires gently lifting the protector and inserting one of the tape strips most kits provide to snag the hard to see particle. If it’s too many a reinstall is probably all you can do. I always remove the backing on a protector with the adhesive side down so dust won’t fall on the adhesive before I apply it. Also need to be in a still room, no air blowing or people or pets moving around. I find the bathroom works best for me. Some recommend steaming up the bathroom first so the dust is weighed down and not in the air. I did that once but don’t think it’s any better than just being in a room with little air movement and being super thorough with cleaning the phone screen and careful removing the backing on the protector. Update by the way...... this screen protector is still on my phone! That’s amazing for me anyway. . I don’t even think about because it’s not at all obvious it’s there. I really love it, for a screen protector.. I got a Speck grip case that I really love too and the protector works with it just fine. Appreciate you checking in. Thankfully @popkurn611 helped me out and I was able to resolve the issue. Westiemom and popkurn611 like this. I got the Maxboost Edge-to-Edge Screen Protector, which may be made by the same company (the boxes are nearly identical) and love it for the same reasons others have shared. Wouldn't it be great to have a small iPhone with an edge to edge screen like the iPhone X?